Storm hit the streets with GMP Stockport! 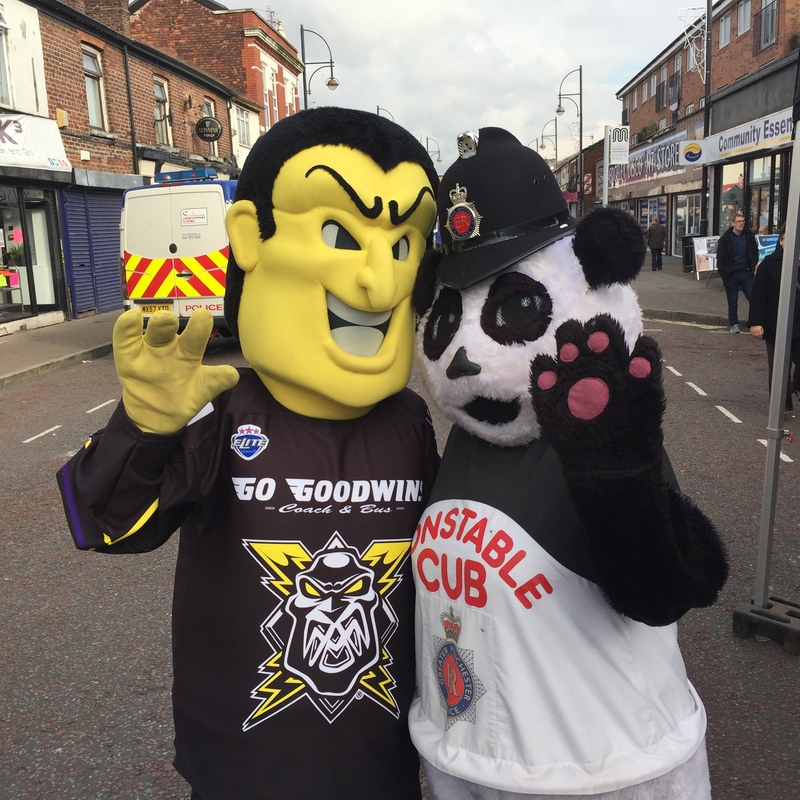 Your Go Goodwins Manchester Storm were thrilled to be invited down to the Greater Manchester Police (GMP) “Emergency Services Day” this week! 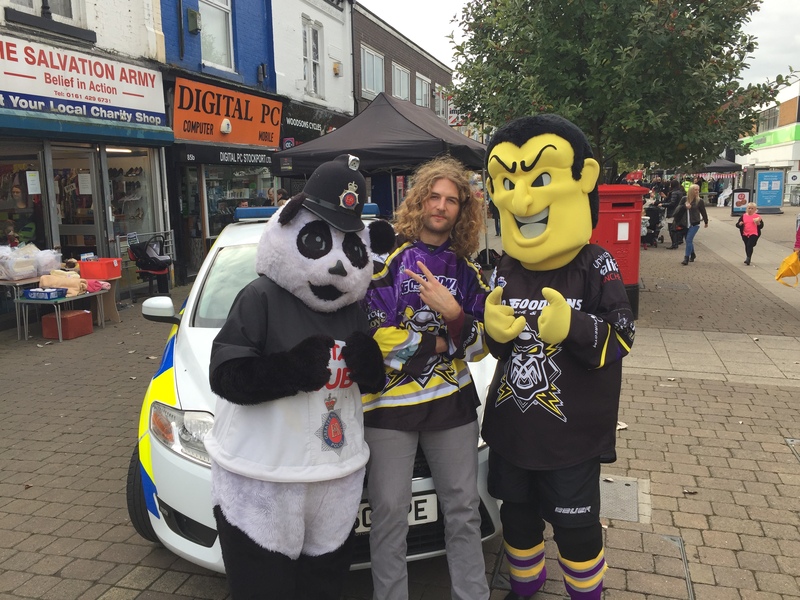 Netminder Mike Clemente, plus forwards Mario Trabucco and Matt Bissonnette, along with our very own Lightning Jack, attended the event in Edgeley, Stockport, handing out flyers and discussing everything from hockey to Bieber! 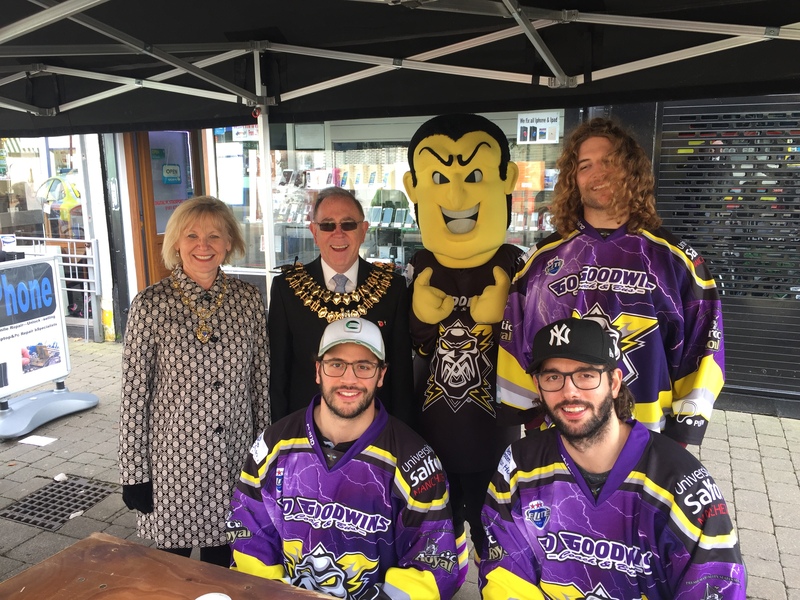 They were even joined by the Mayor of Stockport and his wife, both of whom are looking forward to coming down for a game here at the Storm Shelter! 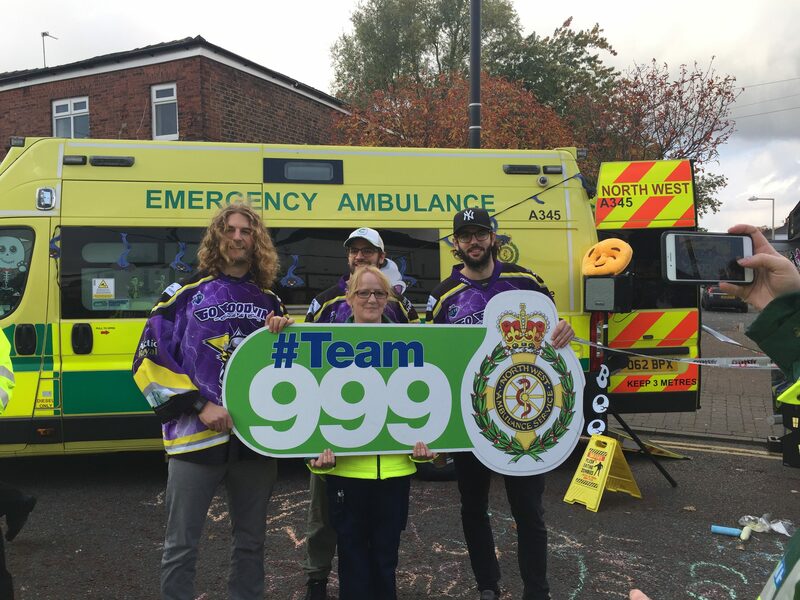 Hosted by the Stockport branch of GMP, the event was a chance for members of the public to see what the emergency services do and allow kids to see the different kind of equipment they use. All three emergency services were in attendance; Police, Fire brigade, and Ambulance along with volunteers such as “Blood Bikes” & the Salvation Army. To see more photos from this fantastic day, be sure to click HERE.